Welcome to David S. Bills, P.C. 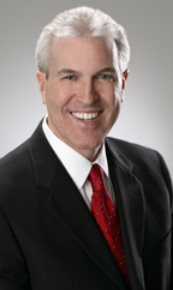 David S. Bills is an accomplished trial lawyer who works diligently and effectively to serve the needs of his clients. He is committed to professionalism, ethics, and excellence in the legal services that he provides.In practice for more than 28 years, Mr. Bills has extensive trial and appellate experience in a broad range of civil litigation matters. He enjoys the AV® Peer Review Rating, which is the “top rating” in the legal profession and signifies the highest level of both ethical standards and professional ability. As a sole practitioner, Mr. Bills maintains a limited caseload such that each matter is handled with the attention and resources it deserves. He accepts only those matters as to which he believe that the clients can legitimately expect to benefit from his representation. Mr. Bills strives to provide detail oriented, hands-on services to his clients. He places a strong emphasis on regularly communicating with clients, answering all questions, and fostering relationships based on mutual trust and confidence. He involves clientsin the important decisions regarding their cases, to particularly include the objectives of the representation and the means by which such objectives are pursued. Mr. Bills is a lawyers’ lawyer. Most of his cases are referred to him by other lawyersand he frequently work with other lawyers in highly collaborative co-counsel relationships . He greatly appreciates other lawyers entrusting him with important matters and calling upon him for advice and other services. Mr. Bills’ practice is dedicated to continued accomplishment on behalf of clients and upholding the highest and best standards of the legal profession.